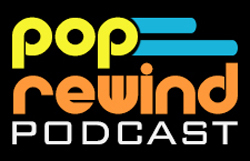 Pop Rewind — Thanks for making us 4,171,564! 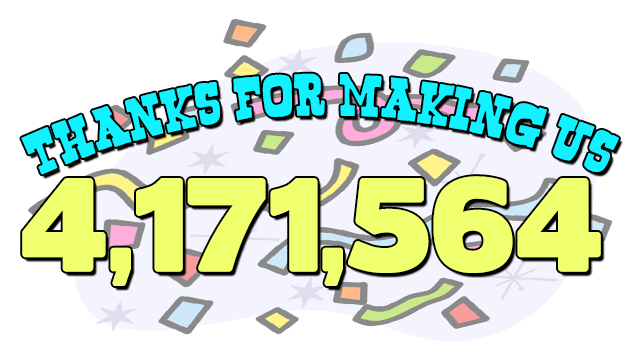 Thanks for making us 4,171,564! Sonic the Hedgehog 2 was re-released with an extra zone. And that pretty much covers our nostalgic news in review. It recently came to our attention that, according to The Web Information Company Alexa, PopRewind.com has a global rank of 4,171,564. Wow! We would like to thank each and every one of the nearly half-dozen of you who visit the site for making this possible. We know our dedicated readers prioritized this site above their favorite Geocities home pages and that means a lot. Our goal for 2014 is to crack that 3 million barrier! Speaking of 2014, we can only think and wonder what the world of tomorrow will be like. My prediction is that the upcoming year will basically feel like 2013, but with a new cell phone on the market. In fact, I feel like the next 12 months will just be filler until we get to the excitement of 2015. Hoverboards, flying DeLoreans, re-hydratable pizza, and antiquated DustBuster units are just around the corner. I’m already seeing 2015 as the expiration year on canned goods and getting pretty excited. I just hope I don’t accidentally snack on a can of carrots Doc Brown is/was supposed to dine on in the future, causing him to not eat them and create some type of time paradox that could destroy the entire universe. Well, let’s not get ahead of ourselves here. Enjoy 2014… to the future! I don’t want to rain on your parade… but it’s gone up to http://www.alexa.com/siteowners/certify?ax_atid=b2383bed-44cb-4edb-b1c5-dda06e67bfeb&site=poprewind.com ! ! ! Congrats! On a serious note I love your site. Here’s to a great 2014! Nerd Out With Me Oooh, we are already closer to 3 million! Guess this post helped. One of the best things about running this site has been getting to know other League members. Thanks for checking out the site! Your global rank is amazing! Mine is not so great, but it’s mostly because I can’t decide if I want to be .com or a .ca blog. I have one of those nifty VPN things that let you have an American IP address but it’s hard to have some consistency. My SEO is sooo crap because of it! Ah well! Cheers to you my dear and hope you had a wonderful new year! Congrats! Keep up the amazing work in 2014. Also that remark on Sonic 2 almost made me pee my pants. Thanks for that! The internet will soon be yours! Look forward to more good stuff in 2014.